It is when the trees drop their leaves in the fall that the structure of the forest is exposed. Like a grand architecture throughout nature, everything is with purpose and has an amazing functional design. The metaphor in faith of life springing from the branch is underneath these works. 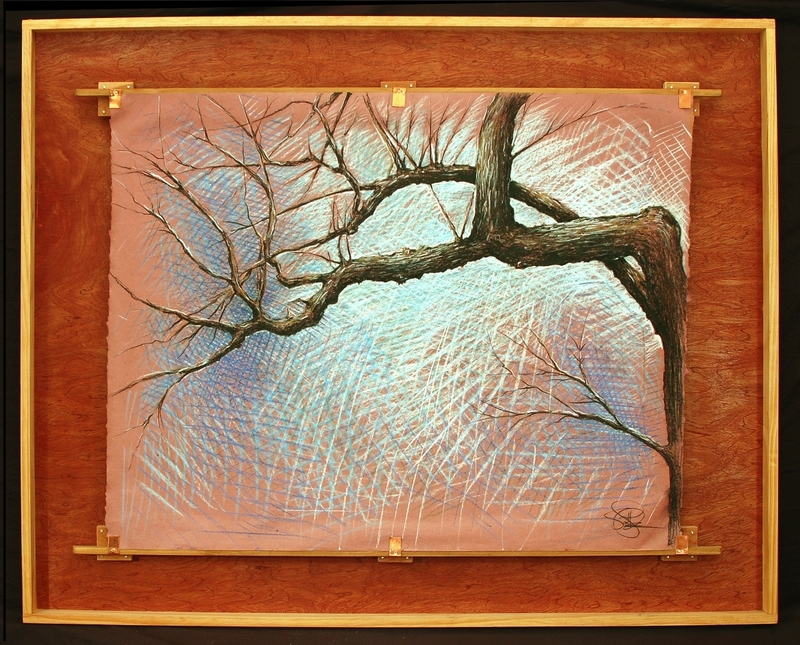 This series of large pastel on paper works explores in high detail the beauty in the structure in a single branch. Surprising and beautiful in realism and starkness, the drawing grabs you and pulls you into the structure and purpose found in everything.